So the card aisle at Target just got a bunch of discounted blasters in! Unfortunately, there were no mainstream hockey products... but there were some products with hockey in them. They had Goodwin Champions and Upper Deck's World of Sports. I have always been a little curious about this product, so I decided to go ahead and give it a try. 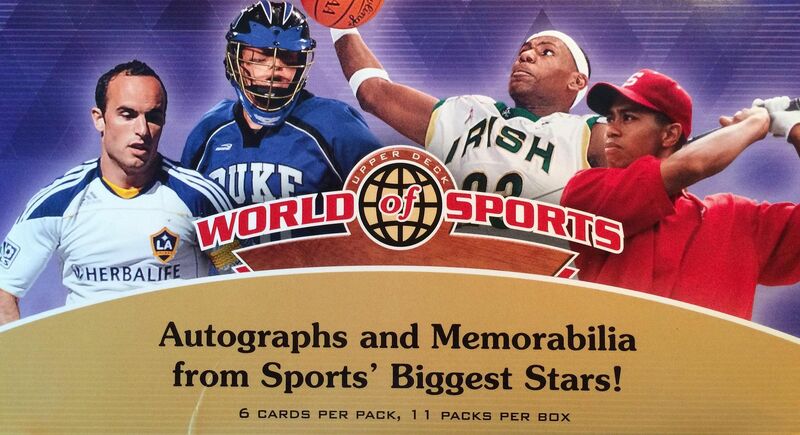 These multi-sport releases by Upper Deck have always intrigued me. I think it's because with products like this you actually have a chance to get big name players inside from all the sports. 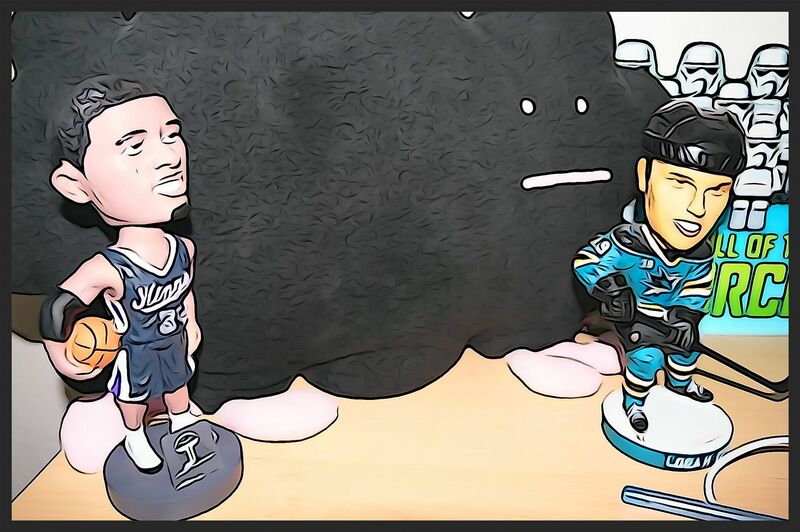 Since basketball and hockey are both represented, players like Michael Jordan and Wayne Gretzky are potential pulls. I know, I know, the chances are slim to nil... but there is a small chance! World of Sports is more than just the major sports though, those who buy this product will find other ice-sports like figure skating and speed skating as well as lacrosse and golf. Though I know a little about most of these sports, I have to admit I know next to nothing about lacrosse. I could pull the best lacrosse player's card out of this box and wouldn't even know it. But that's what makes this product fun to break. As I suspected, the cards covered a huge range of sports. And even with the hockey cards, I struggled knowing who it was that I had gotten as many of the hockey cards seemed to be from women's hockey. The cards themselves are on a cheaper stock than I was expecting. They were flimsy and felt lower-end even though they have a nice glossy shine. But I guess Upper Deck had to save some cost somewhere as there were quite a few cards in this blaster. With 11 packs per blaster, and 6 cards per pack... that's a bit more than your typical blaster box card count these days. I was pleasantly surprised to find an insert and a hit in this blaster. I was a bit afraid that the entire box would be base cards. 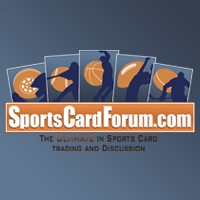 My hits can be seen in the top three cards of the break. I have a bit of history with Miki Ando... haha... not that kind of history, of course! She was the last card I needed to chase down when I collected the 'Champions' autographed card set that Upper Deck released in 09/10. Let me tell you, her card did not come cheap! And I'm very glad to own it. Bo Jackson was one of the most popular sports figures when I was younger - everybody loved him and his cards were super hot. It's really unfortunate that an injury derailed his career. 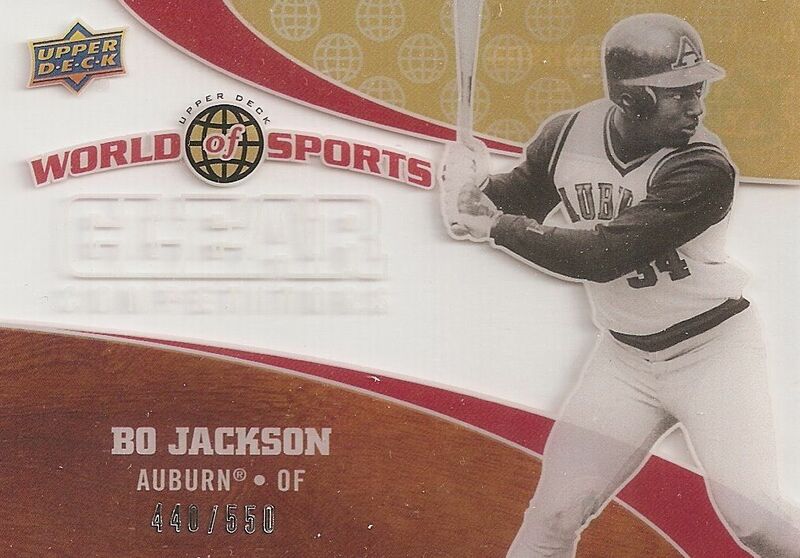 This acetate card is a very sweet addition to the World of Sports set. I'm surprised that Upper Deck included acetate cards here! I'm even more surprised that it is serial numbered as well. That's really cool. First a serial numbered insert card and now a game-used hit! Getting both of these cards made this box worth it. 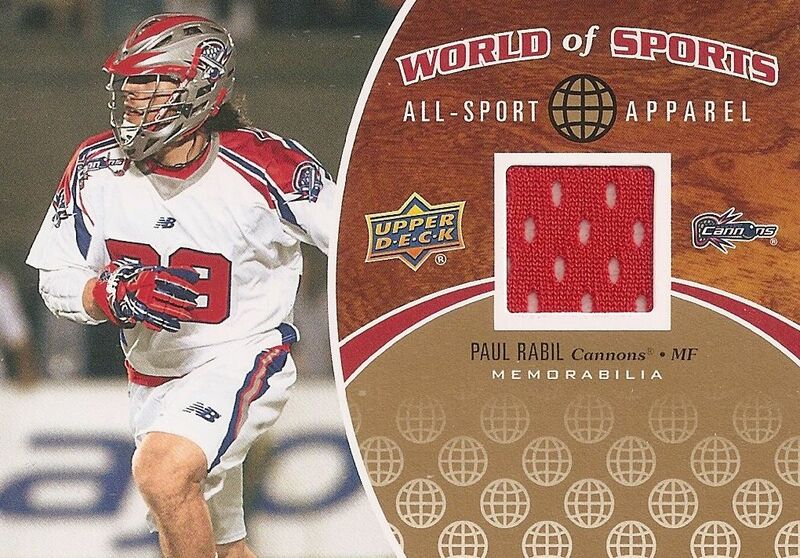 Am I upset that the game-used card is from lacrosse? No, not at all! In fact, getting this card makes me a bit more curious about the sport! I can definitely say I was happy with this box of Upper Deck World of Sports. It provided a fun break that involved a good number packs as well as a numbered insert and a hit. Buying retail products like this is, to me, more fun than getting the same old things over and over. I hope to find more stuff like this as I sift though the products in the card aisle each week! Love the blog! My name is Ryan and I run twopadstack.net. 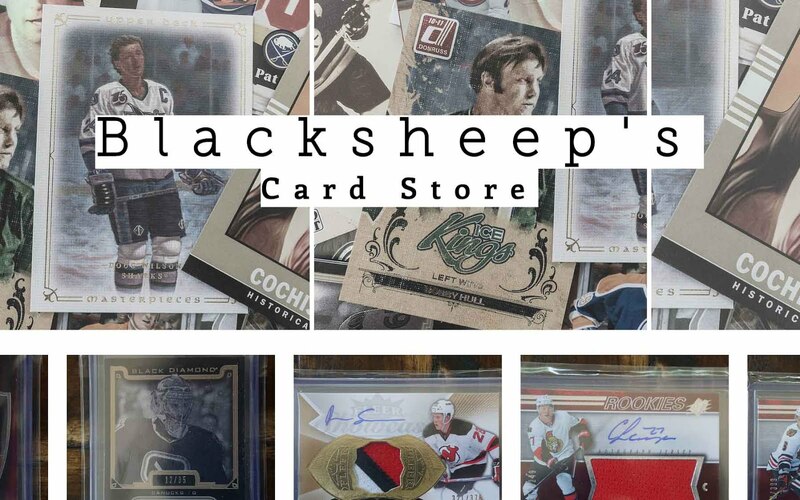 We're looking to expand our coverage to include hobby-related items (hockey) and would like to add you to our writing staff. If you're interested, please shoot me an email: ryan@twopadstack.net and we can discuss.